Russian President Vladimir Putin says he will be too busy to attend the upcoming G8 summit at Camp David as U.S. President Barack Obama makes the same claim about the APEC summit in September. Russia’s newly inaugurated president, Vladimir Putin, will not attend the G8 summit at Camp David later this month because he will be busy forming a new government. 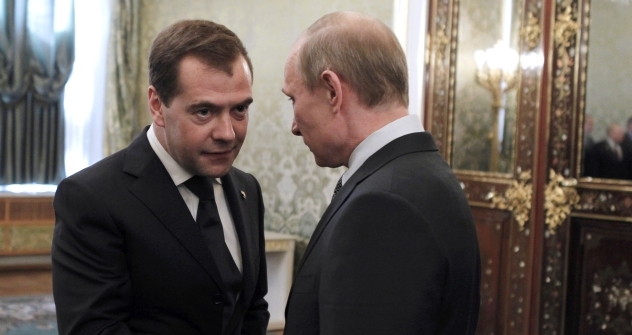 Instead, he will send Prime Minister Dmitry Medvedev as his stand-in. Putin’s decision not to go to the G8 summit on May 18-19 was announced by the White House press service. Putin, who was sworn in as president for the third time on May 7, told U.S. President Barack Obama about his decision when Obama called Moscow to congratulate Putin on Victory Day and on his inauguration, although the White House had been informed of the decision last week during a trip by Obama’s National Security Advisor Tom Donilon to Moscow. Putin sent his regrets, explaining that he will be too busy forming a new government to make the trip to the U.S. Nevertheless, the decision was a slap in the face to U.S. officials, who are rumored to have moved the G8 meeting from Chicago to Camp David in part to accommodate the Russians. The G8 summit was originally scheduled to be held in Chicago ahead of the NATO summit in that city on May 20-21, but after it became clear that no Russia-NATO council meeting would take place on the sidelines of the summit, the decision was made to move the G8 meeting to Camp David, the U.S. presidential retreat outside Washington, DC. Although the White House has said the G8 summit was moved in order to create a more trusting atmosphere, the Russian press attributed the change in location to a desire to spare the Russian participants the need to pointedly leave Chicago in between the two summits. Other experts, however, take a different view. Some believe that Putin may have declined the invitation to Camp David because he did not want his first foreign trip as president to be to the United States. Putin’s decision not to attend the G8 “removes the possibility that the two leaders will promote an image of cooperation in the wake of the tensions between Washington and Moscow that surrounded the Russian elections,” wrote American blogger Josh Rogin. And indeed Moscow and Washington have had harsh words for each other in recent days. On the day of Putin’s inauguration, the State Department condemned the harsh crackdown on opposition protestors in Moscow, and several days earlier, Russian Chief of the General Staff Nikolai Makarov hinted about the prospects of a pre-emptive strike on American ballistic missile defense facilities. Putin will have his first meeting with Obama in his capacity as president on the fringes of the G20 meeting at Los Cabos, Mexico, on June 18-19. Putin’s decision not to attend the G8 may have broader consequences, however, as the White House announced on May 11 that Obama will not attend the APEC summit in Vladivostok in September. U.S. officials cited Obama’s commitment to attend the Democratic Party’s nominating convention, schedule to take place in Charlotte, North Carolina the same week as the APEC meeting. Nevertheless, the absence of the U.S. president is a blow to the Russians, who have spent millions preparing the Far Eastern port city for the summit. The combined report based on the information from Kommersant Daily and Gazeta.ru.